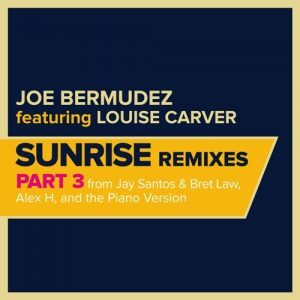 Dropped just last week comes a three-part EP made up of remixes – all based around producer Joe Bermudez’ “Sunrise.” He initially made the track with vocalist Louise Carver, and his eye for creating a superbly catchy melody is evident from the get-go. Coming out on the remix EP are remakes crossing a wide range of styles and themes, and there are some really big names littered across the tracklist. Some of these include Alex H, Dapa Deep, Frank Caro & Alemany, Jay Santos & Brett Law, Joe Garston, Mark Lower and Michael Cassette. Why not check them out, you can do so by heading here.